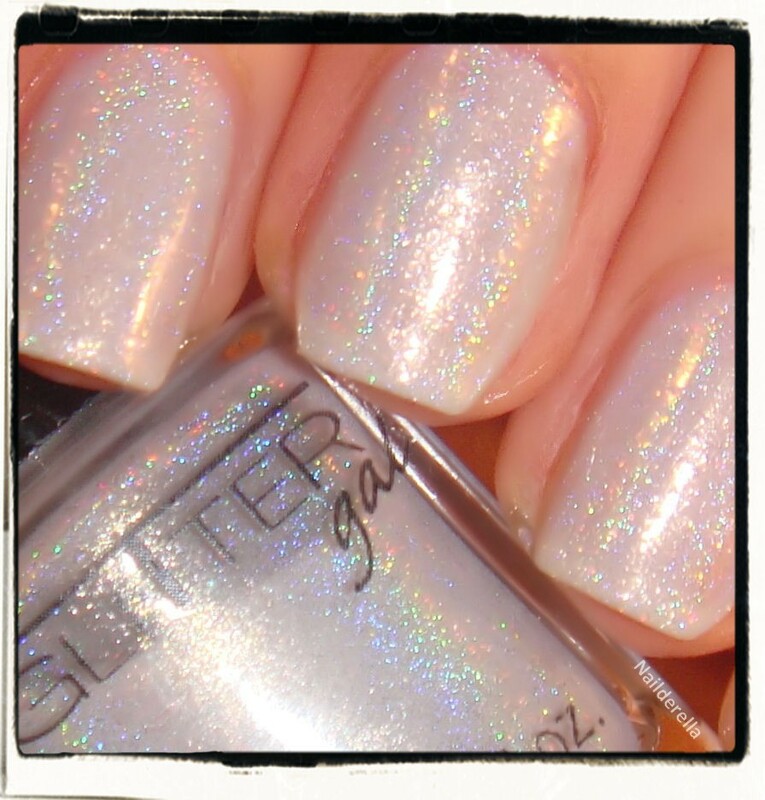 Light As A Feather: White Holo! Oh my! I've got some amazing polishes to show in my upcoming posts. 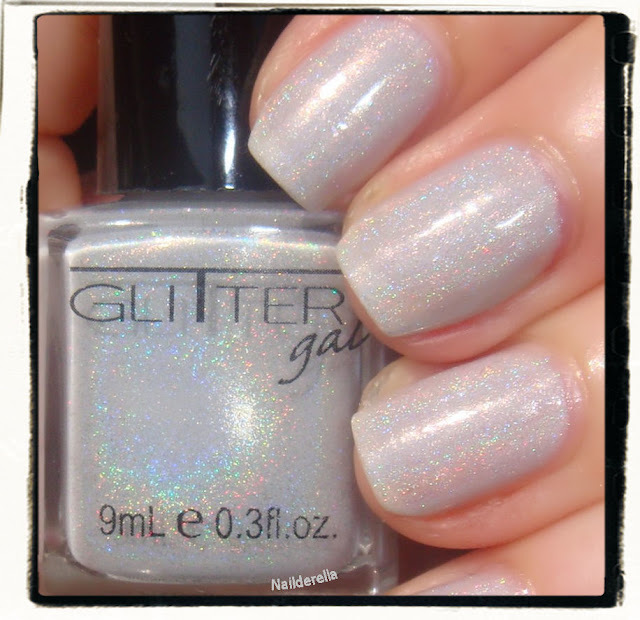 It's Glitter Gal polishes! 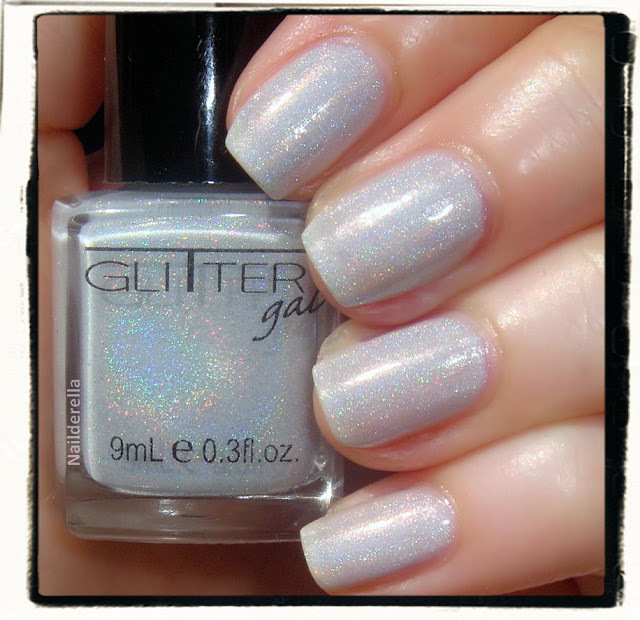 The first of my series is a gorgeous white holo called Light As A Feather. Isn't that great...a white holo? I've always thought white holo was impossible to get because the holo particles are generally silver...so of course, this is not a completely true white but it's really close to it. It's a light greyish white, should I say. 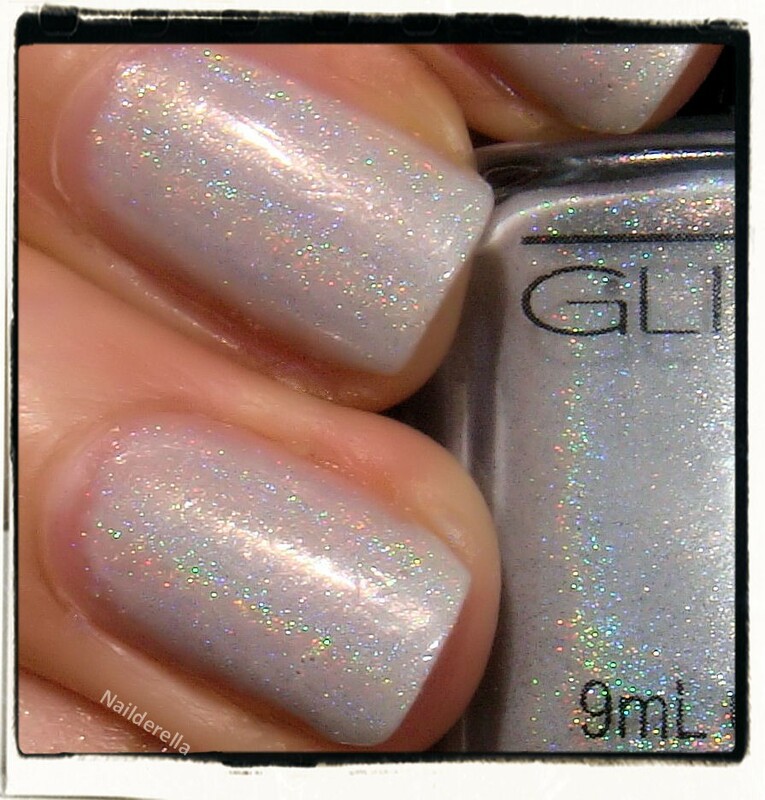 The holo effect is especially noticeable in the sun or under artificial light, it's not the strongest holo that Glitter Gal has made (maybe because more holo pigment would have turned this pretty whitish polish into grey...so it's a balance you have to respect, I guess). Anyway, it's super pretty and classy. 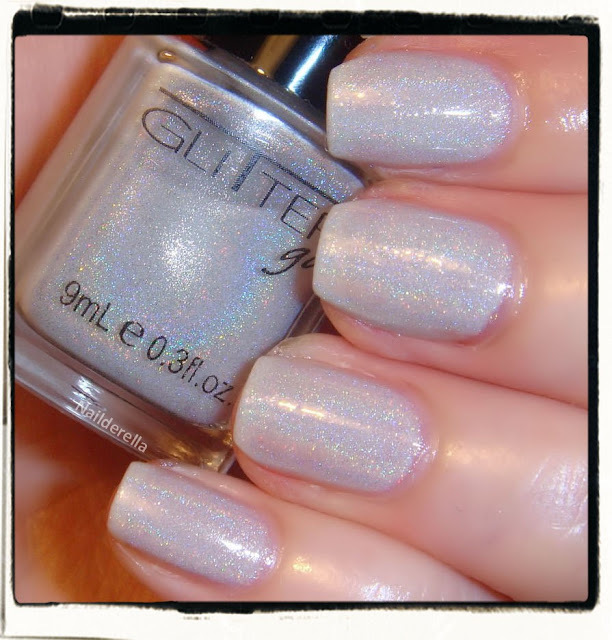 And it has entered my top 5 polishes! Final verdict: This polish is really exceptional. It's the first time I've seen a white linear holo. The color is also really classy and work appropriate IMO but it gives your nails a really nice fashion touch. Application was great, no need special base coat. I needed 3 coats to get full opacity. Top coat doesn't seem to dull the holo effect. 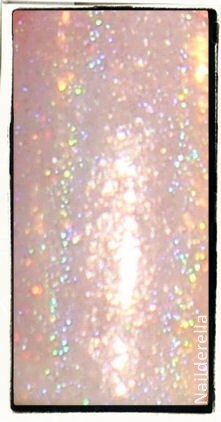 So this is a great quality polish with an elegant and fun touch at the same time. Glitter Gal polishes can be purchased at llarowe. This is the US stockist for Glitter Gal, Ozotic, and A England polishes, 3 awesome nail polishes brands.They sell internationally. Wow Ive never seen a while holo before! Stunning!! Wow... I loved this shade so much that I just went and ordered it. I can't wait to receive it. I've never seen a white linear holo before and this is just beautiful! Great for all year round but I plan to use it for some winter-themed nail art designs. omg.. NEED!!! This is amazing! It's such a gorgeous color. I need that color! Gorgeous, so delicate and ethereal! I love it. So pretty! 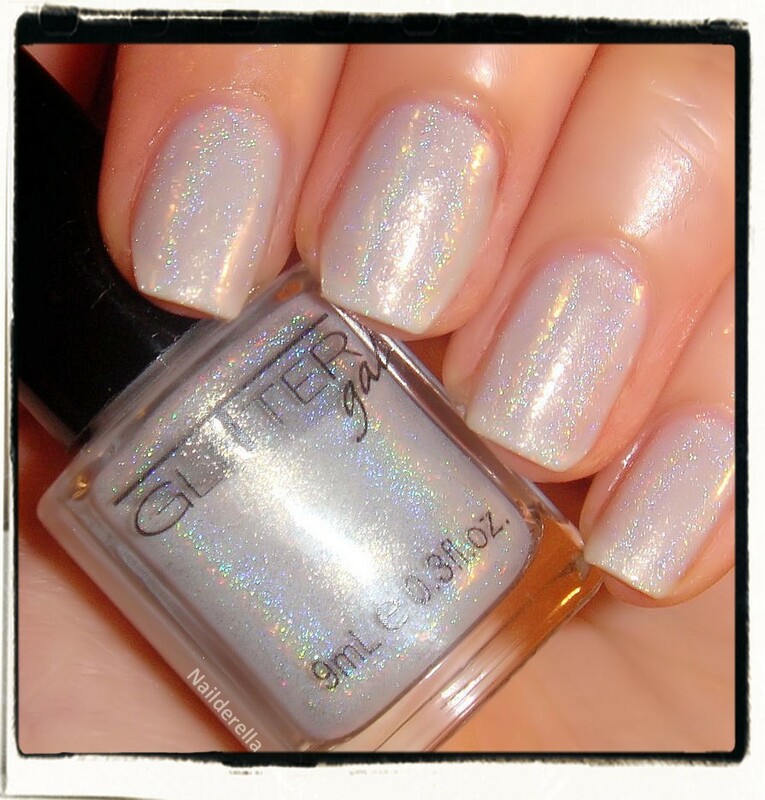 I think this might be my favorite Glitter Gal. It's so delicate and beautiful. sooo pretty I love holos! Super pretty, it looks fantastic on you! i want this with every fiber of my being! Gorgeous!!! It looks so pretty and delicate! This color is so delicate & beautiful! HELLO, I love it, beautiful photos, the highlights live!! Very very pretty. I will have to check out that site for sure. Thank you for all your lovely comments, ladies! I'm super happy you all love this gorgeous polish!! Thank you so mucj, Kerry and Anna! Thank you for your amazing polishes and thank you for your nice comment!